Here are our current cats up for adoption! 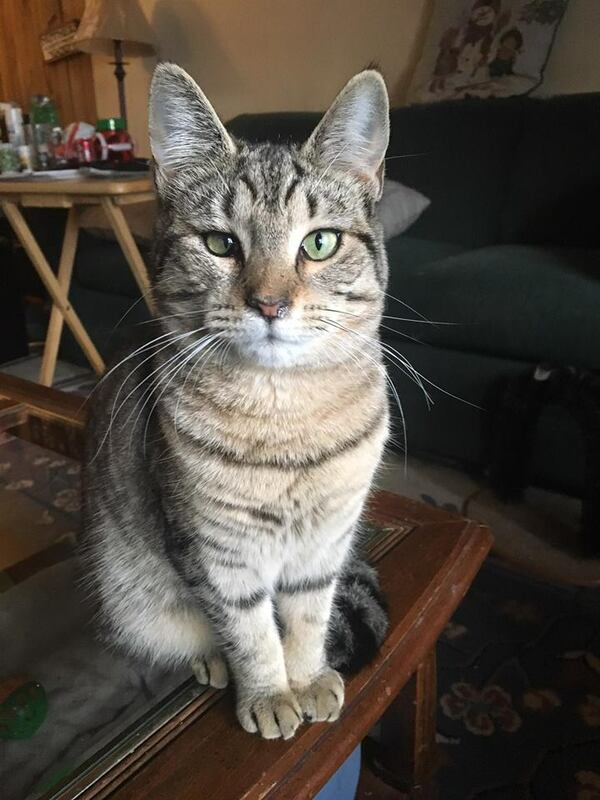 Cyclops is a 9 month old, female/spayed tigger tabby sweetheart! She is currently battling an upper respiratory infection, but that does not stop her from being an active, happy cat! She received an entropion surgery to her right eye when she first arrived to the rescue, that's why she winks at you funny! It is due to eyelid agenesis. She is up for adoption, but does require medication to be given once daily. Located in our Holbrook home! This beautiful male is Marlin he is 5 months old and has an upper respiratory infection. He will be available for adoption the end of October. He is sweet and nice. He is at Sabrina Antonelli’s house in Holbrook. Would anyone like to preadopt him ? Once he’s cleared by the vet he will be able to go to his forever home. He likes to cuddle and suckle on you. He's so cute and adorable. Please fill out an adoption application at www.destinyshope.org thank you. These two kittens are Echo and Whisper. 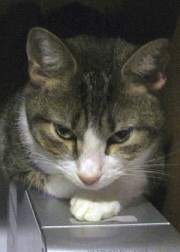 Whisper is the tiny female white and tabby kitten approximately8 months old. They both have chronic upper respiratory infections and are at Sabrina Antonelli’s house in Holbrook. Unfortunately, Whisper has a permanent eye scar. When she was a baby, she got scratched by another cat, therefore leaving the scar 🙁 The scratch caused a corneal ulcer which is currently being treated. This does not affect the kitten at all except for the fact that her third eyelid is always exposed. Echo is the black and white already adopted!!!!!!!! They are both starting to feel better much better, and will be cleared by a vet before going to there forever home. Would anyone like to give these adorable kittens a forever home? 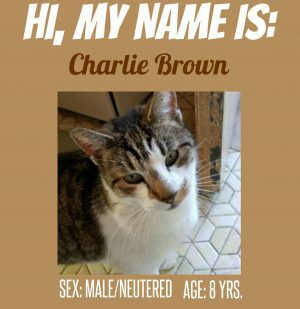 This cat is available directly through Sydney. Giblets and Stuffing were dumped at a local animal hospital overnight by the front door. It was Thanksgiving night in 2012. The cats were skinny and terrified. After a few days, they were vaccinated and dewormed. Then they came to Destiny’s Hope where we found out that Stuffing does not like people. Giblets, however, loves people and just wants to sit on your lap. She loves to be petted on the head. 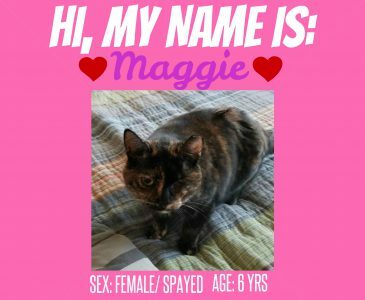 Both cats are estimated to be around 10 years old and are spayed. Giblets needs a furrever home desperately. She has been with our rescue almost a year and wants a lap to call her own. Please consider adopting her today. She is up to date on her vaccines and flea medicine. Kitten is a 9-10 year old black and white male neutered cat who was found as a 6 week old kitten covered in fleas and starving to death. 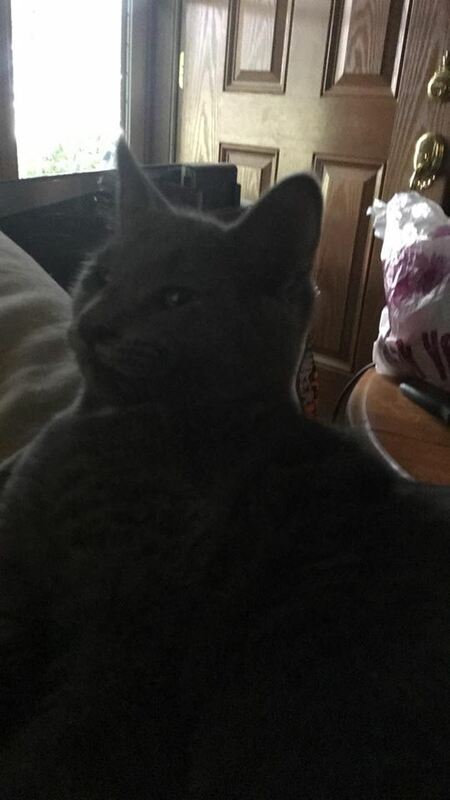 He was originally found as a stray by a family who decided to give him a bath, then put him in an unfurnished garage while still wet in the middle of winter. A friend of ours was contacted and found him hypothermic and near death. 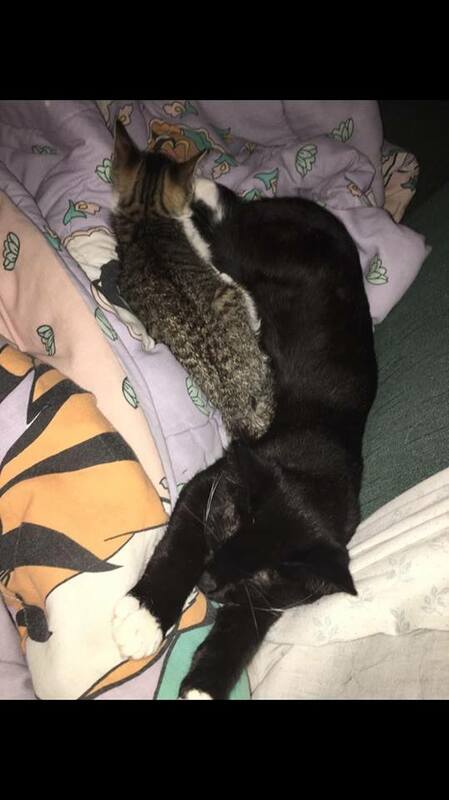 She was not sure if the little kitten was going to survive, especially in his malnourished state, but with some warmth and warm fluids, he began to come back and show he was willing to fight for his life. After some good food and basic medical care, he was thriving. Sadly, because he is shy around new people, he has been looked over for adoption. Kitten is not a cat who stands out with beautiful markings or being a rare breed, and he doesn’t rush up to a new person and play or demand affection. That is why he is still at Destiny’s Hope. 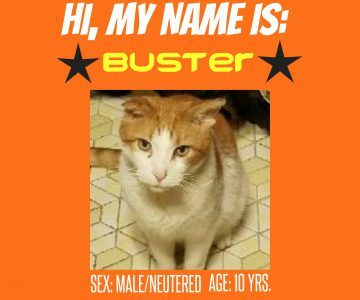 Through no fault of his own, overpopulation of cats has prevented him from being adopted into a forever home. 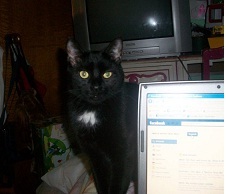 He is doing well at Destiny’s Hope now, and is a very vocal cat who demands to be recognized in the pack. He is playful and sweet, but can be standoffish when he first meets a new person. But he is healthy and litter trained and would do great in just about any home. Whiteface got her name because she came to Destiny’s Hope with 3 other kittens that were feral in Kings Park. A wonderful woman Dotty trapped these 8 week old kittens and brought them to the rescue. They were given flea medication, vaccinations and dewormers. With some good food and a lot of love, these feral babies became people friendly and the kind of kittens that are adopted immediately. Unfortunately, being shyer than her siblings, Whiteface was overlooked. She has her own personality and is very loving and affectionate, but on her own terms. She shows no traits of her feral past except she does not like to be picked up. When people meet kittens the first thing they do is pick them up and cuddle them, and this did not suit the little white faced kitten. She is thriving here at Destiny’s Hope and loves to sit in a lap and sleep in bed with her person. 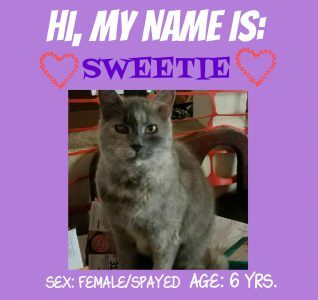 She is litter trained and loving and affectionate as long as it is not forced upon her. 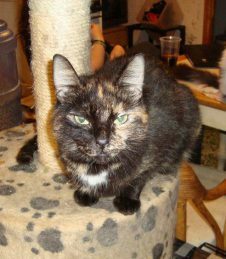 She is now around 8 years old, spayed and vaccinated and ready to go to her forever home except for a polyp in her ear that needs to be removed. This causes her to sniffle and gurgle sometimes, but does not affect her daily life at all. She is otherwise healthy. If the potential adopter is committed to providing the simple surgery to remove the polyp, she can be adopted now. 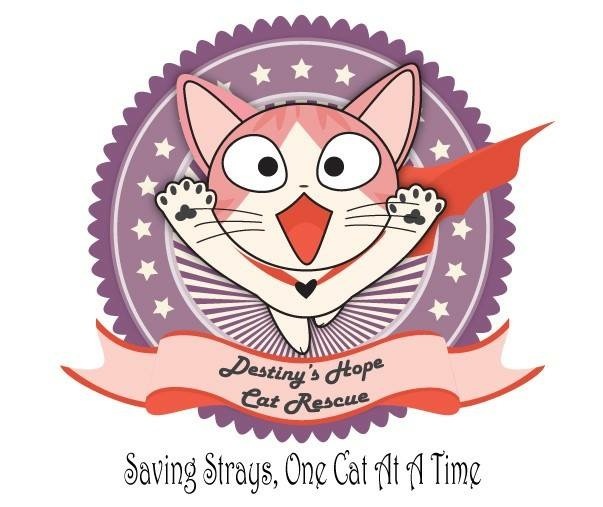 When the money is raised, Destiny’s Hope will get her to surgery she needs. Donations towards Whiteface’s veterinary care will be greatly appreciated.